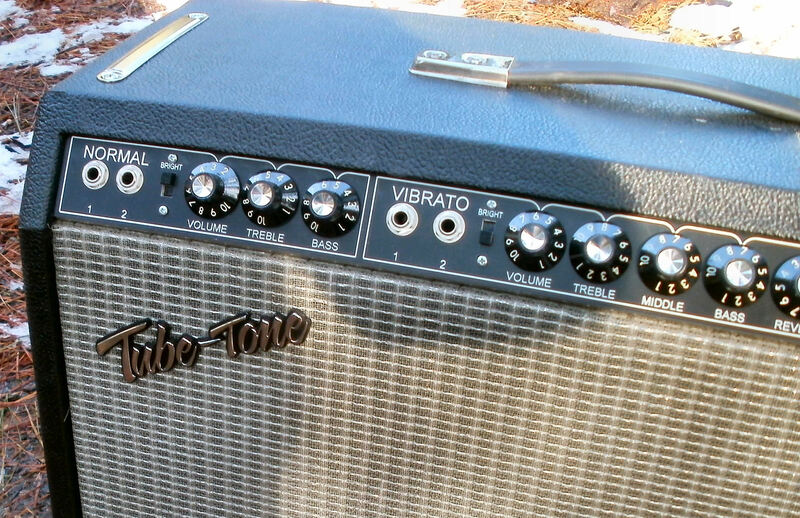 Tube-Tone Super. 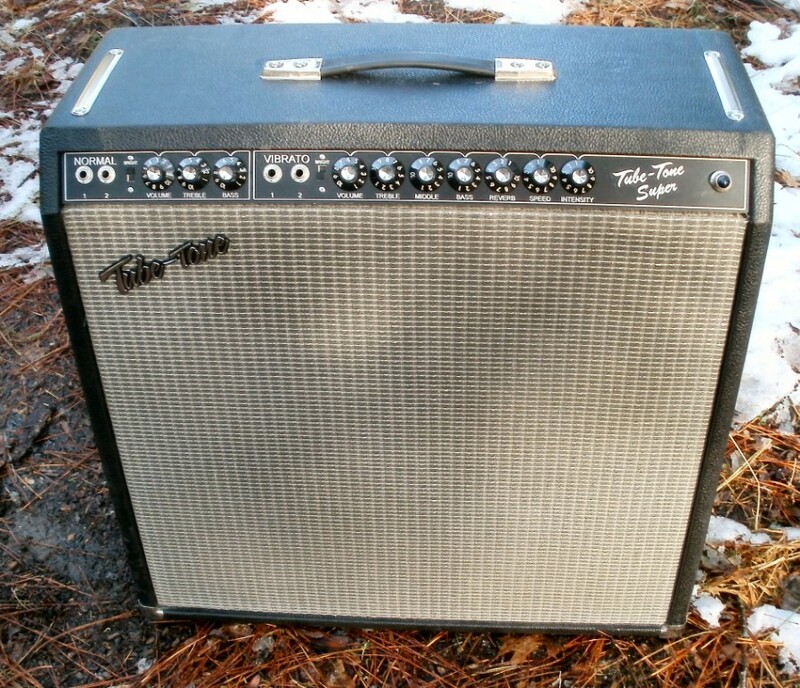 This is identical to the black face Super Reverb, the sound found on so many classic albums. Two JJ 6L6GC power tubes with all JJ preamp tubes. Speakers are (4) 10" Weber Alnico Signature 10S, giving nice warm breakup at good stage levels. The circuit is exact copy of the AB763 Super Reverb schematic with a few modifications not effecting tone, such as larger bias cap for noise reduction and dual bias pots, one for each power tube so matching power tubes is never a problem. This is deposit only. Balance due when ready for shipping. Total price shipped, in continental states is $1890. Total price to other countries is $1830 plus shipping. Specify voltage required, jewel light color and any mods when ordering. CA residents add CA sales tax.